Sigetu Marmatina, September 20-22., 2011. Novi Sad, August 16. 2011. Novi Sad, March 08, 2011. Novi Sad, December 10, 2010. Băile Felix, May 20, 2010. 1. During 2008 the Institute has applied for transnational co-operation programs of Southeastern Europe (SEE). Within this program, the Institute replied to call for gathering of project ideas for the Danube and Tisza rivers. DATOURWAY - Transnational Strategy for Substainable Rural and Tourism Development in the Danube Area i TICAD – Tisa Catchament Area Development. In both projects leading partner is the Institute VATI – Magyar Regionalis Fejlesztesi es Urbanisztiikai Kozhassznu Tarasag. 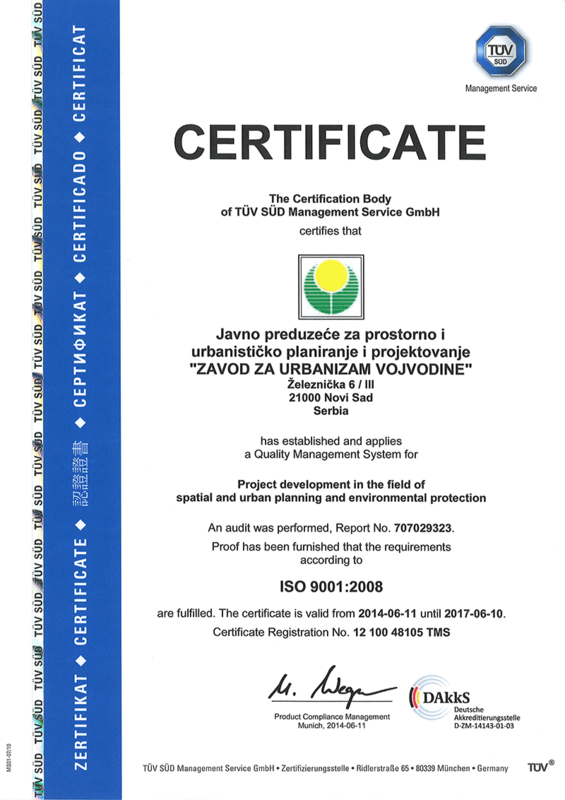 During 2009 projects DATOURWAY and TICAD are approved and in both projects the Institute is a partner, along with several other organizations and institutions from Vojvodina. Projects will be implemented in the period from 2009 to 2012. 2. In late 2009 the competition was announced for the IPA program CBC Republic of Serbia - Republic of Hungary. 2. Rehabilitation Planning of Tiszasziget – Djala Cross-Border Connecting Road.